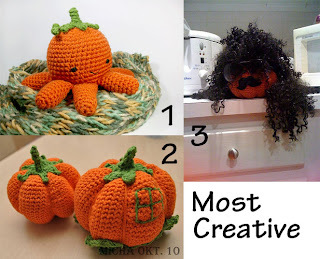 The Itsy Bitsy Spider Crochet: Vote for your favorite pumpkins! 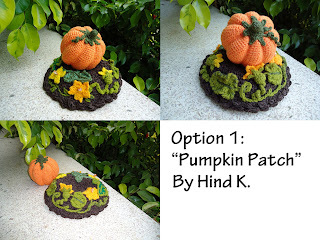 Vote for your favorite pumpkins! The nominations are in and sorted and the cream of the crop has risen to the top. We're ready to vote for the best pumpkins! 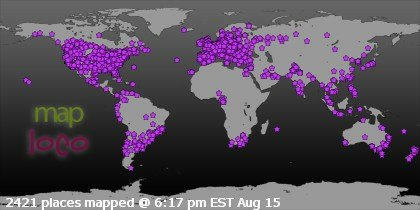 A little about the nominations... we had A LOT. 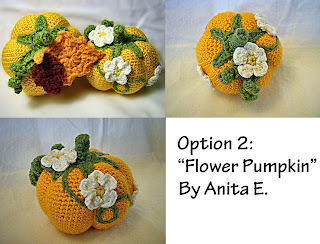 After all, there are so many amazing pumpkins in our virtual pumpkin patch -- how could we not have a lot of great nominations?! 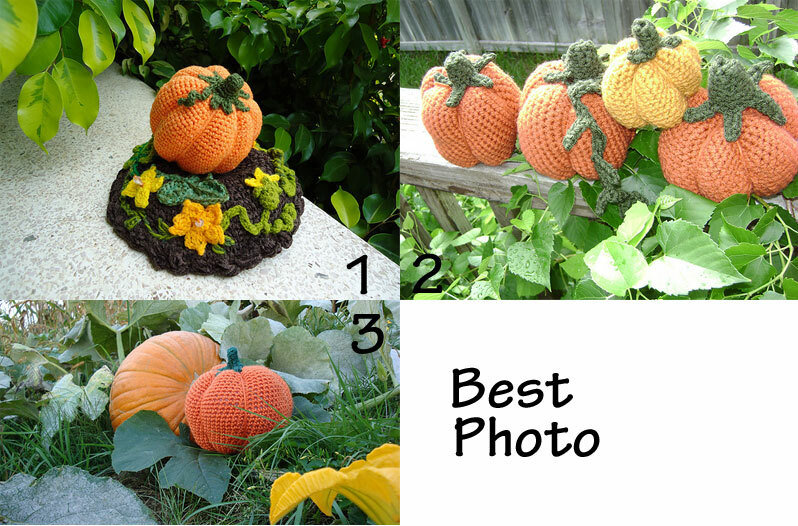 So, to make the voting a little less confusing, I used only the three pumpkins from each of the first two categories that had the most nominations. In the "Best Pumpkin" category, it was pretty clear who the nominees were, so I used only the top two. But enough bantering about the way things sorted out... let's have a look at those pumpkins! Option 1: Pumpkin Patch by Hind K.
Note: For other photo submissions by Hind K., see Hind's photostream. Other photo submissions by Anita E. can be seen here. 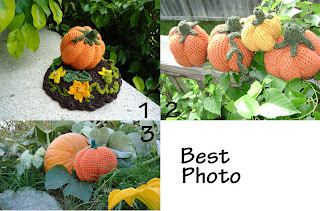 You've seen the nominees - now it's time to tell the world which pumpkins are the best in the patch. Just use my voting form to log your choices. And remember -- ANYONE can vote. You do not need to have participated in the crochet-along! TIP: Keep in mind that you can click on any of the composite photos to see a bigger view or go directly to the photo on Flikr (Categories 1 & 2) by clicking the linked title. You have until next Saturday (11/6/2010) at midnight EST to cast your vote. Good luck to all the nominees! I would be glad if you would change the link from www.galleri-micha.dk to snoretoppen.blogspot.com. I'm disappointed the Cannibal pumpkin didn't make it! Thought that one was super clever! An honorable mention perhaps? Congrats and good luck to the nominees! Correct, Cathy. It's one vote total. That's why I'm asking for email addresses -- to be fair to the other entries.